Two Canadian universities are making sure all their new students are taught Indigenous culture and history — no matter what faculty they're in. The University of Winnipeg and Lakehead University have both made Indigenous learning a requirement. While many students and faculty at Lakehead applaud the idea, some say the reality isn't quite what they'd imagined. "I'm being taught by a non-Indigenous instructor and this professor, I feel, is perpetuating those stereotypes that we're talking about," said Kayla Tanner, who is in the fourth year of her undergraduate degree in Indigenous Learning at Lakehead. "Despite that professor's best intentions, I don't think it's being done well. It puts you in this position where you feel really trapped, and you're not in the position where you want to put your hand up every six minutes to correct the professor." Kayla Tanner is in her final year of an undergraduate degree in Indigenous Learning at Lakehead University. She added, "I didn't want to speak out. In fact, just recently after the last class I had to leave the class and go cry in the bathroom, and I had to speak to several people and then I had to go smudge. My feeling with this course is I don't have the emotional capacity to do this twice a week. This is exhausting, and this is just one course." Tanner said because of her own educational background, she recognizes some of the information being presented in her class is drawn from source material written by non-Indigenous academics from a non-Indigenous perspective. "The rest of these students are learning some of these things for the first time, so they're perpetuating a non-Indigenous perspective and seeing it as true or as fact," she said. 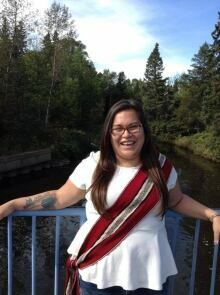 Jenna Carew is a graduate student in social justice at Lakehead, with an undergraduate degree in Indigenous learning. Jenna Carew is pursuing her masters degree in social justice at Lakehead University. "I do think the course requirement is positive. I do think that people should learn about the history, and to function in the present day we need to know how we got here. I think that's important. But I do think that it needs to be done in appropriate way, with proper consultation, and that might be an important aspect that's missing here," she explained. Robert Robson, an associate professor and the current chair of the Department of Indigenous Learning at Lakehead, called the Indigenous content requirement a good first step but added that there is a long way to go. "I think what needs to happen is every course that's offered at Lakehead and other institutions in Canada needs to be respectful of the experience of Indigenous peoples and also needs to bring that knowledge to the classroom so students can learn from that knowledge. And it doesn't matter the course, it doesn't matter the program — from nursing right through to kinesiology — every course should have an Indigenous component to it, and I honestly hope that's the direction we're heading," he said. Beginning in the 2016-17 school year, Lakehead University requires all students to take a mandatory Indigenous course, regardless of what faculty they're in. "I think Lakehead is at a point where it, too, is learning how to do this. I think efforts have been made to work with faculty to provide at least fundamental knowledge but … we still have a ways to go there as well," he added. "The University of Manitoba hosted a workshop on Indigenous knowledge and the idea was to provide foundational skills to instructors to be able to enter the classroom comfortably and to be able to speak to the issues that need to be spoken to respectfully and I think that's part of what has to happen." Peggy Smith, the interim vice-provost of Aboriginal initiatives at Lakehead University, said officials have committed to hiring an Indigenous curriculum specialist that will provide support to faculty "in order to meet the learner outcomes for the Indigenous content requirement." 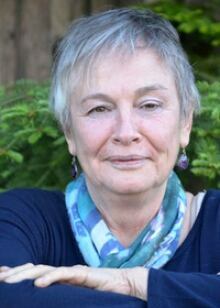 Peggy Smith is the interim vice-provost of Aboriginal initiatives at Lakehead University. "There are some non-Indigenous professors teaching those courses, so we are trying to provide the support for them that they are not giving the wrong so-called 'facts,' and we're doing that through the Indigenous curriculum specialist," she said. "We're trying to keep an eye on those things, and certainly if students have concerns they should step forward and I'd be happy to listen to those concerns and to bring them forward to the people that are in a position to do something about it." Smith said the university is committed to this process and is open to ongoing consultation with students and faculty. "Understanding we're coming from a university where close to 11 per cent of our student population are Indigenous students — and many of them from remote, Northern communities — and everyone, both Indigenous and non-Indigenous, are struggling [with] what it means to try and redress some of the historic wrongs that have been done, we felt that it was really important to start requiring this content."